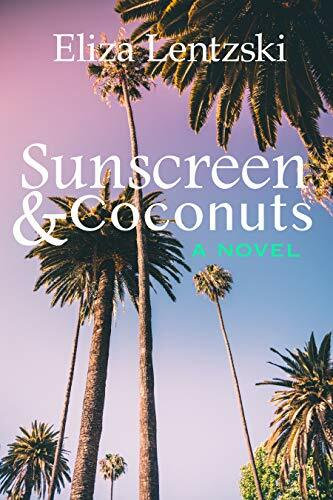 The long wait is over--my latest standalone, Sunscreen & Coconuts, is finally available. I originally titled the novel Christmas in the Caribbean with a slated release date of December 2017, but as the winter holiday came and went, it became clear that I needed to find a new title. It's been admittedly difficult to write since November of 2016. I find myself tumbling down the latest news cycle rabbit hole, and it takes a while to claw myself out and get in the right mental-space to write about romance and happy endings. That's one of the major reasons you'll find Sunscreen & Coconuts to be a lighter read than what's typical of my books. There's certainly drama before our heroines can get on the path towards a happy ending, but sometimes you need a fun novel to help escape reality, if only for a few hours. So what's next? I typically take a month off between a book release and starting a new WIP, but I've found some good momentum this past month, so I'm jumping right back into things. Next up, DCMH 4. I hope you enjoy Sunscreen & Coconuts. Make a drink, find a beach, and give yourself a deserved break.